AUSTIN, Texas — Rhett Davis, professor of Electrical and Computer Engineering at North Carolina State University, has been named Technical and Educational Advisor for Silicon Integration Initiative. Si2 is a leading research and development joint venture that provides standard interoperability solutions for integrated circuit design tools. In this expanded advisory role Davis, who has a doctorate in electrical engineering from the University of California at Berkeley, will continue consulting for Si2 in the areas of system-level power modeling and compact modeling. He has been instrumental in prototyping early-stage implementation of the newly created Unified Power Model now being standardized by Si2 within IEEE. 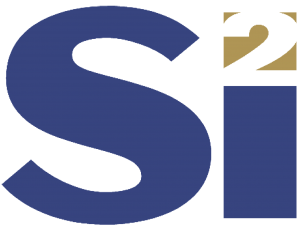 In the Si2 Compact Model Coalition, Davis has helped the Open Model Interface Working Group rearchitect the TSMC-contributed interface, which allows users to modify model parameters during circuit simulation. Davis will also support the five university members of the OpenAccess Coalition: North Carolina State, University of Florida, State University of New York, Stanford University and Einhoven University of Technology (Netherlands.) University members have direct use of the OpenAccess database, which streamlines the path to developing design production tools. Dr. Davis joined North Carolina State University in 2002 as an assistant professor and became professor in 2008. He received the National Science Foundation Faculty Early Career Development award in 2007 and the Si2 Distinguished Service Award in 2012 development of standards for electronic design automation, and the FreePDK open-source, predictive process design kit. Dr. Davis’ research is centered on developing methodologies, CAD tools, and circuits for systems-on-chip in emerging technologies. His interests include 3DIC design and low-power and high-performance circuit design for digital signal-processing and embedded systems. Dr. Leigh Anne Clevenger, a professional software engineer with over 15 years’ experience at IBM and GlobalFoundries, has joined Si2 as a principal software design engineer. With domain knowledge ranging from circuit simulation to data science, Dr. Clevenger will initially focus her expertise on accelerating the Si2 OpenStandards Coalition standardization efforts in machine learning and system-level power modeling. Dr. Clevenger, who earned her doctorate in Software Engineering and Machine Learning at Pace University, has extensive experience in semiconductor design automation and semiconductor processing technology. She is a published expert in detailed circuit simulator systems, including IBM PowerSPICE, Cadence Spectre/APS/XPS/Ultrasim, and Synopsys HSPICE. At GlobalFoundries she was a software development engineer for automotive and gaming computer chips. Dr. Clevenger has published and presented research on data science, including big data analytics, machine learning algorithms, and wearable computing. She has filed over 30 patents in the areas of health care and fitness based on Internet of Things sensors, improving engagement with virtual and augmented reality and semiconductor innovations. For her doctorate, she developed a machine learning system for active screening of cardiac patients. Si2 has announced that IBM and GLOBALFOUNDRIES have contributed patented technology to support the Si2 Unified Power Model standard, the industry’s first significant power model enhancement in many years. Early stage estimation of System on Chip power consumption is fundamental to ensuring new SoC designs meet or exceed power specifications when fabricated. For a credible estimate, the power models must comprehend the target implementation technology and circuitry, along with voltage and temperature conditions. At the same time, power estimation results are needed quickly in to perform rapid “what if” scenarios. UPM’s multi-level power modeling capability provides the necessary level of modeling detail required at various stages of design. Abstract high-level equations to gate-level characterization tables can be accommodated through the same, standard interface. Beyond this, the UPM interface, upon acceptance and approval by the IEEE’s P2416 working group, will be a direct plug-in to the widely-used IEEE 1801 stub created for power models. The IBM and GF contributions enhance UPM by providing a new and unique approach to power modeling. Rather than storing pre-characterized, process-voltage-temperature specific data, UPM models store power proxies that represent different contributors to overall power consumption, such as sub-threshold leakage, gate leakage, and dynamic power. Appropriately entitled “power contributors,” this approach vastly simplifies and reduces the power modeling effort, and allows the power model to be voltage and temperature independent, enabling a single power model to be used at a multitude of voltages and temperatures. SoC designers using UPM with contributor-based modeling will ultimately be equipped with thermally-aware, system-level power estimation. In addition, the late-binding of specific PVT conditions at simulation run-time will provide accurate, early estimates of leakage power, which increases exponentially with increasing temperature. The donated technology covers key aspects of contributor-based power modeling including model abstraction, generation, compression and evaluation. Contributor-based modeling will be fully integrated into UPM, which forms the basis for P2416, the planned IEEE standard for developing and maintaining interoperable, IC design power models. P2416 is scheduled for balloting in early 2019.